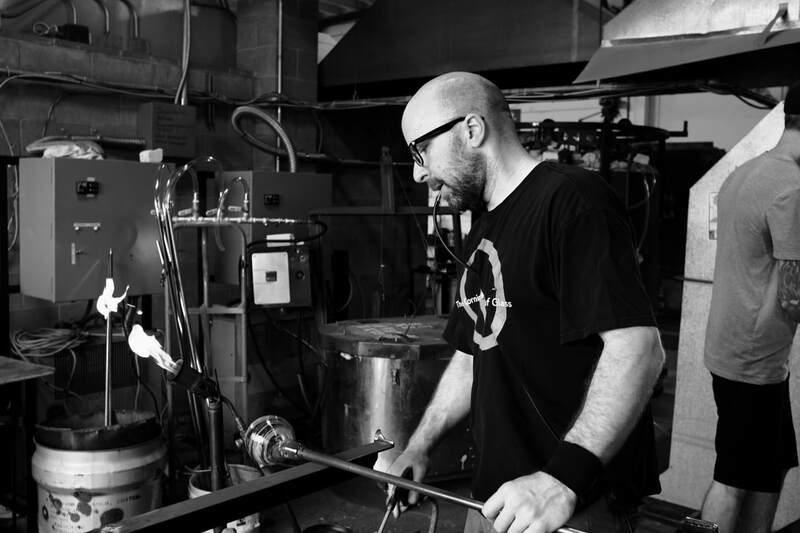 Steve Hagan's glass combines a love of function with modern form and design. A Philadelphia native, he started blowing glass at the Tyler School of Art after focusing primarily on painting and printmaking. The attraction to the fluidity and choreography of the material was immediate. Since that time, he has worked in a multitude of university, private and public access glass studios across the country as an artist and educator. 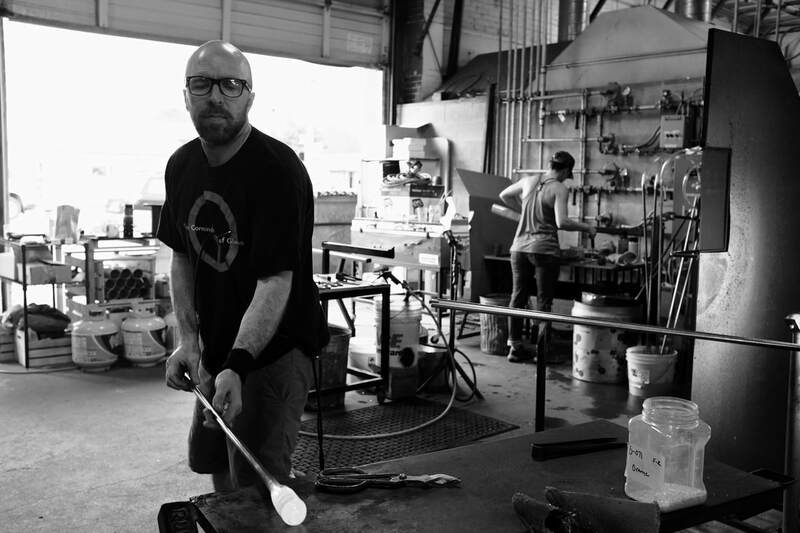 He received his Master of Fine Arts degree from Southern Illinois University Carbondale in 2011, and currently creates his glass objects in Lincoln City, Oregon.